The Victorinox Universal Peeler is a must have for the kitchen. Featuring a pivoting stainless steel head with micro serrations that cut through the toughest of skins - the head is also self adjusting according to pressure applied - for peeling fragile produce without gouging. The egonomic yellow polypropylene frame has an integral potato eye remover tip and a hanging hole. 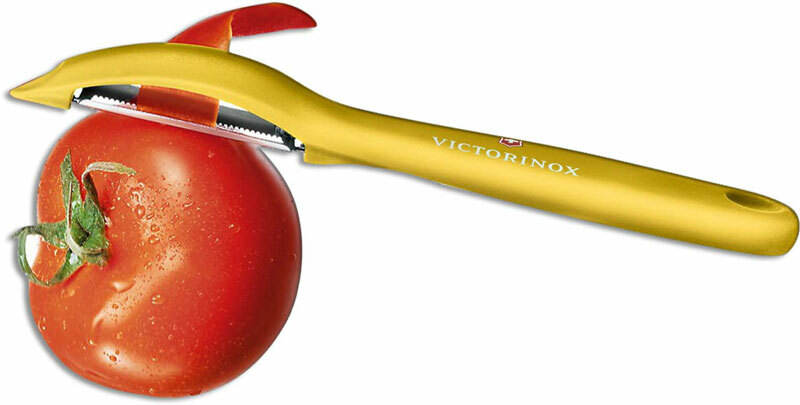 The Victorinox Universal Peeler has an overall length of 6.88", and it weighs only .7 ounces. Made in Switzerland.